Fujifilm has announced their first analogue square format instant camera, the SQ6. Fujifilm has announced the new Instax Square SQ6, Fujifilm's first square format analogue camera, using the same film as the Instax Square SQ10 - a digital camera that uses Instax film. The SQ6 features multiple exposures, a selfie mirror, and includes 3 different flash covers to enable different flash effects. The camera is due to be available 25 May priced at USD $129.95 and CAD $159.99. Picture size - 62mm x 62mm / 2.4in. x 2.4in. Three motor driven focus modes: Macro Mode (0.3m - 0.5m/1ft. -1.6ft. ), Normal Mode (0.5m - 2m/1.6ft. - 6.6ft. ), Landscape Mode (2m/6.6ft. and beyond). Automatic, Interlocking range (ISO 800): LV 5 - LV 15.5, Exposure compensation: ± 2/3 EV. 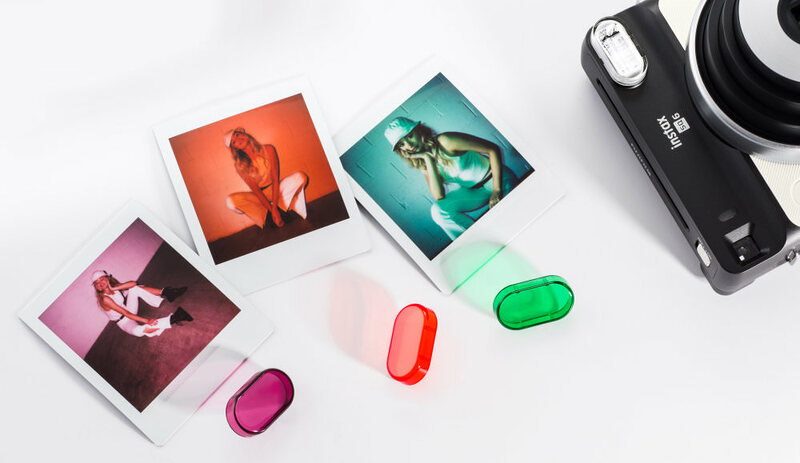 From Fujifilm: Valhalla, N.Y., May 14, 2018 – FUJIFILM North America Corporation today announced the first SQUARE format analog INSTAX camera, in the FUJIFILM Instax instant camera line, the new INSTAX® SQUARE SQ6, a sleek and sophisticated square format instant film camera for instant square prints. The square format film provides a wider photo range with 1:1 aspect ratio. This allows for more room to set the scene, enabling capture of the subject, its background and extending the range of artistic expression. Along with the SQ6, instax SQUARE black instant film will also be released. 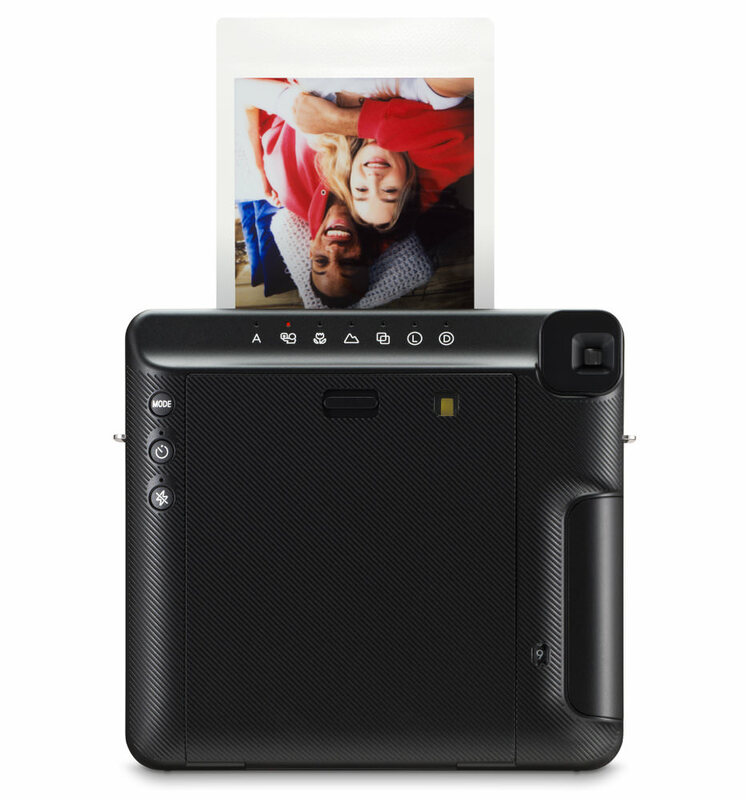 With its new black frame, users can enjoy added creativity, perfect for a wide array of DIY projects. The SQ6 is available in three stylish colours, Pearl White, Blush Gold and Graphite Gray. The new SQ6 is equipped with various features that allow users to be more creative. With auto exposure control, the high performance flash automatically calculates the surrounding brightness and adjusts shutter speed to capture both the subject and background with clarity, even when shooting in low lightconditions, such as indoors or at a party. Three colour filters that fit over the flash in orange, purple and green are included to add a pop of colour to the images. Additionally, the camera can be set to a selfie mode which automatically adjusts focus and brightness. For added usability when taking selfies, a smallmirror is located next to the lens to ensure accurate capture. Group photos are made easy with the built in timer and the added tripod socket located at the bottom of the camera. To ensure capture of any moment, the SQ6 offers three unique modes. The double exposure mode is capable of superimposing two images onto a single film when the shutter button is pressed twice. The macro mode allows users to capture beautiful close-up images of subjects as close as 30cm and the landscape mode can be used to capture impressive scenic photos. The Instax SQUARE SQ6 will be available on May 25, 2018 in the U.S. and Canada for USD $129.95 and CAD $159.99.